British Columbia is home to many passionate outdoor adventurers. With its beautiful mountains, diverse hiking trails, islands, and vast fjords and rivers, British Columbia offers an incredible range of outdoor adventure and recreational activities. If you are one of these adventurers, then you know the struggle of trying to store all that camping and outdoor gear during the winter months. 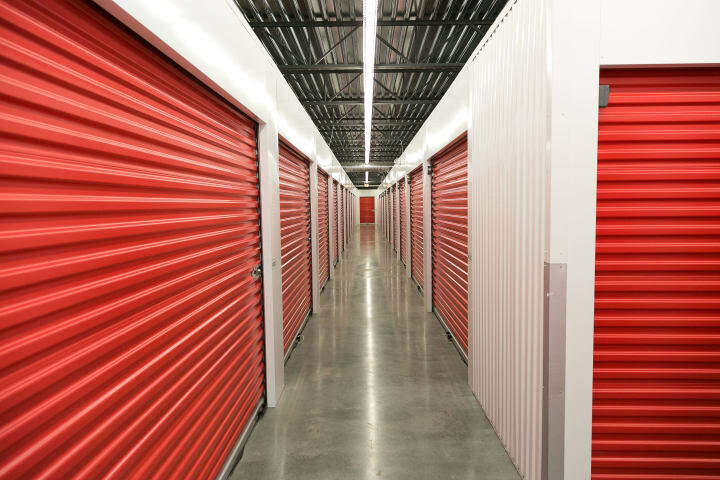 Like most people, you store it anywhere and everywhere you can, such as inside the garage, attic, basement, cupboards, and closet. 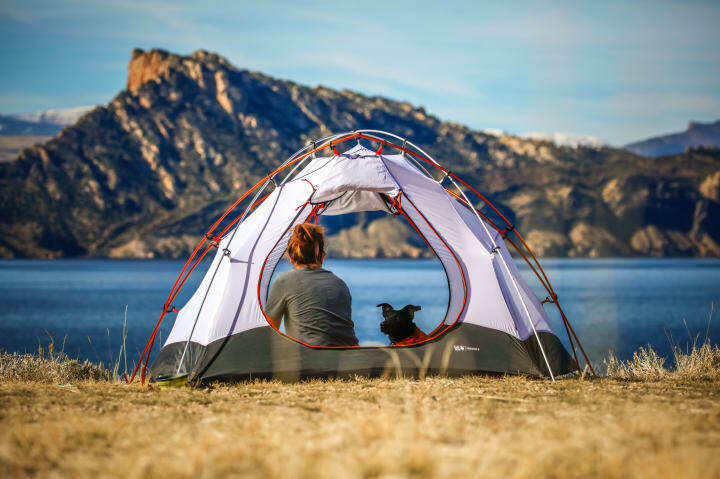 You’ve invested a lot into your camping gear and expect it to remain durable for a long-time, but the life span of your gear will depend on how you look after it. This means keeping it clean, in good shape, and properly stored. For the sake of convenience, longevity of your outdoor gear, and the success of your next excursion, check out the following tips! Always scrub and clean your cookware before storing it away. Make sure that you clean away stray food and crumbs so not to attract bacteria, rodents, and insects. Always remove batteries from any camping electronics, such as GPS devices, flashlights, lamps, and other electronics you are putting in storage. Collect your batteries and store them in a sealed plastic bag with your camping gear. This simple step will ensure that you will not have your electronics damaged from possible corrosion or leakage. Sweep out your tent. Make sure your tent is clean before folding or rolling it to improve longevity. To avoid holes or abrasions in the fabric, sweep out all rocks, branches, leaves, and leftover dirt before packing it away. Inspect your tent. Inspect both the interior and exterior and repair any tears or damage found in the seams, zippers, tarps, and poles. Spot-clean dirt, mud and grime. Make sure the zippers remain running smoothly by removing any leftover dirt or grime from the teeth with a small brush (like a toothbrush). Use a soft cloth or sponge, water, and mild detergent and spot clean any dirt stuck on the tent. Soak tent in water. If your dirty tent requires extra cleaning, fill a tub and soak the tent in sudsy water. Be sure to only use light detergents or manufactured approved cleaners designed specifically for camping gear to avoid damaging the fabric. Consult with your local camping store to find out which tent cleaner best suits your fabric. Dry your tent. Hang your tent outside in a shaded area for several hours to dry and air out. If weather does not permit this, pitch or hang your tent indoors until it is dry. Be sure your tent is completely dry before packing it away. Moisture, even the smallest amount, can lead to mildew, stains, and foul odors in the fabric. Packing your tent in a compression bag or stuff sack is great for backpacking, but it is not good for long-term storage. Instead, consider using an old pillow case, large bag, or large plastic bin. This will allow the fabrics to breathe and relax instead of being compressed in the stuff sack. If you can, try to store the poles partially or fully assembled. This will ensure there is less tension on the shockcord inside the poles and will help it to last longer. If you do not have the space to do this, that is okay, you can simply collapse the poles down by starting in the middle and working your way to the end. This will evenly distribute tension along the shockcord. Thoroughly clean the sleeping bag before storing it. Even if your sleeping bag looks relatively clean, it still most likely collected dirt, odors, sweat, or possibly insects from your trip. Remove debris by shaking out your sleeping bag a couple of times. Hang your sleeping bag to air out for at least 24hrs. Spot clean dirty smudges on the shell with a soft-bristle toothbrush. Make a paste by mixing a non-detergent soap with a little bit of water. Hold the soiled shell or liner fabric away from the insulation and use the brush to gently clean the shell. Many years may go by before your bag needs to be washed. Backpacker.com does not suggest washing your sleeping bag after every trip because of wear and tear it has on the loft (air-trapping fibers). Always look at the manufacture’s washing instructions printed somewhere on the bag and follow them. Purchase and use a non-detergent soap product made for washing down such as Nikwax, Gear Aid ReviveX Down Wash, or Granger Down Wash.
Close all the zippers and velcro attachments. Place down sleeping bag into a front-loading machine with a gentle cycle and follow the instructions on your down cleaning bottle. Be careful not to tear the fabric or stitching when you are moving the bag to the dryer because down is very heavy when wet. Place your down sleeping bag into a large dryer on the lowest heat setting (up to 30°C) to dry – this can take several hours. To prevent the down from clumping, add a few clean tennis balls into the dryer. Make sure it is completely dry before taking it out of the dryer. 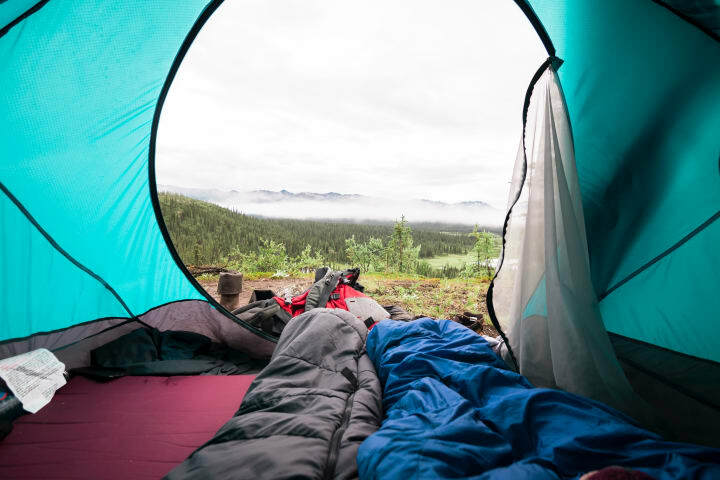 You do not need to wash your synthetic sleeping bag after every trip, however, unlike down sleeping bags, you can wash them more often, if needed. Use soap made for cleaning synthetic insulation, such as Nikwax Tech Wash. Always follow the instructions provided on the bottle. Close all zippers and velcro attachments. Use a front-loading washing machine on a gentle cycle. Carefully put in dryer and dry on the lowest setting. Add a clean tennis ball or two to break up clumps. Or, you can air dry it by laying it flat on a towel, rack, or in the sun or partial shade, if possible. Ensure the bag is totally dry before putting it away into storage. Fill a large sink or tub with lukewarm water and add a small amount of soap product. Follow washing instructions on the bottle of your soap product. Submerge sleeping bag into water and leave to soak for an hour or so. Drain the soapy water and refill again with fresh water. Remove soap by gently massaging the bag by pressing up and down. Do not wring or squeeze the bag. Continue massaging and rinsing the bag with fresh water until the bag is free of soap. Drain the water from the bath or tub. Press down on the bag and push out the remaining water from the waterlogged sleeping bag. Tumble-dry your sleeping bag on a low temperature setting. MEC does not recommend air drying the down sleeping bag – it would take several days and can attract mold or mildew. When you purchase a sleeping bag, it often comes with a mesh or cotton sack. Loosely stow your sleeping bag in its storage bag. Store your sleeping bag in a cotton pillowcase. Hang your sleeping bag from a hook. This will allow air to flow freely around the bag without it being compressed at all. Store it in a plastic bin. 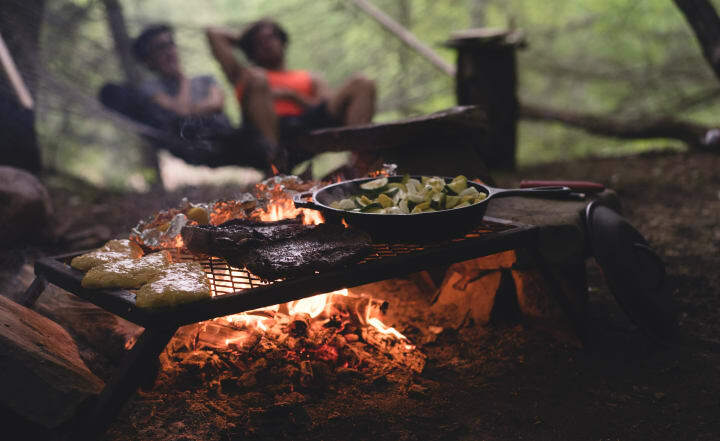 You have made sure your camping gear is clean and dry, but where do you store it? Garages, attics, and basements are not ideal because you can encounter problems such as mold and mildew caused by temperature and humidity, or damage caused by insects or pests. 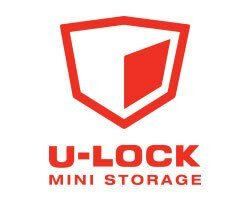 A self-storage unit can free up space in your home and provide a convenient location for all your camping and outdoor gear. 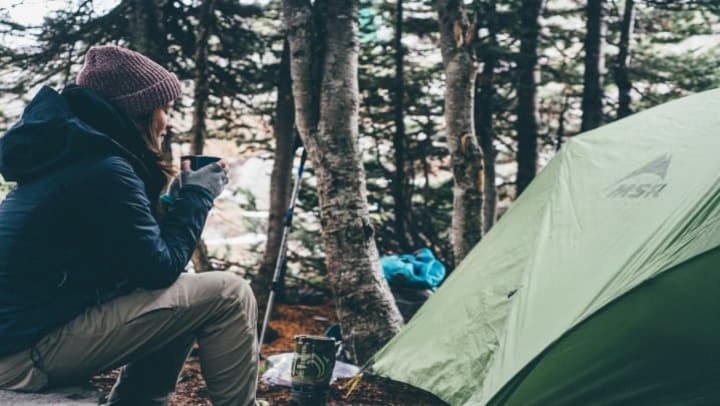 Consider choosing heated self-storage for peace of mind that your camping gear will be safe, dry, and ready to go for your next adventure!